We had a great time at the Edinburgh International Book Festival 2015. Our new graphic novel, The Red Shoes and Other Tales, premiered with gold stamped exclusive advance edition copies. The book isn’t officially out until October 13th in the US and November 1st in the UK. Gala Day, the final day of the festival is open to schools only and saw us deliver a talk to over 80 children. The festival may be finished now but for us as Writers in Residence at the festival, it’s all just beginning: for the next few months, we’ll be working with hip-hop artist Dave Hook at a Glasgow school to help pupils create fairy tale comics. 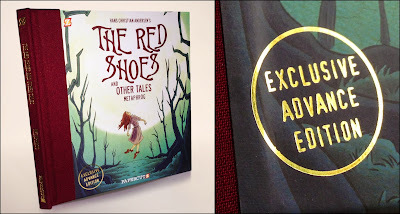 A very limited number of gold-stamped ‘Exclusive Advance Edition’ copies of our new graphic novel The Red Shoes and Other Tales will be available from the Edinburgh International Book Festival bookshop on Charlotte Square, for the duration of the festival, which takes place during the last two weeks of August. The book itself is beautifully printed and comes in a hardcover quarter-bound edition (that’s with cloth all around the spine), and has a gold printed spine. We’re really delighted with the way the finished book has turned out. 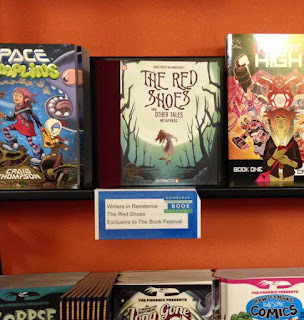 Many thanks to our publisher Papercutz! The official release date for the book is October 13th in the US and November 1st in the UK. 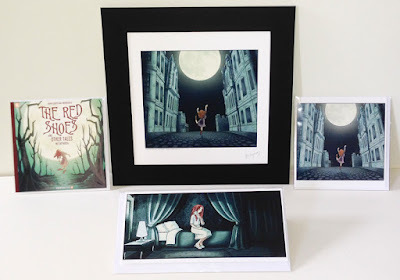 Also, a very limited quantity of signed giclée prints and greeting cards will be available at the Edinburgh International Book Festival bookshop. 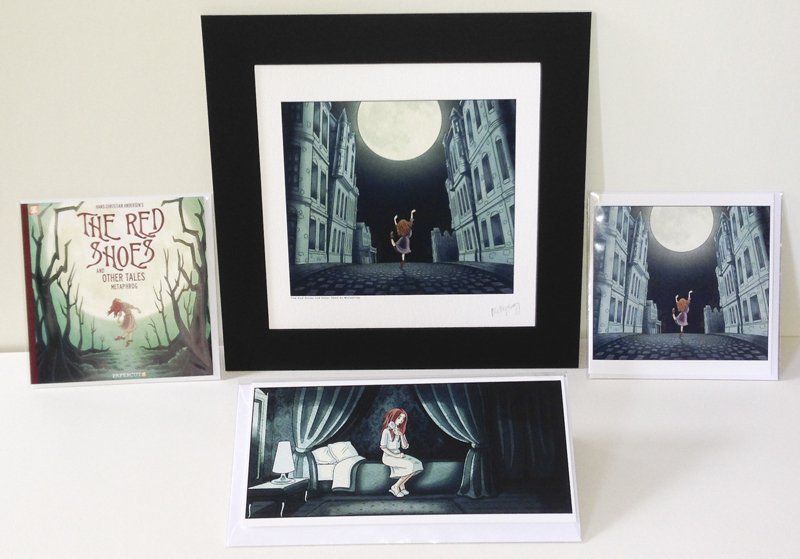 The giclée prints are mounted in a black frame and wrapped in clear plastic sleeves, the greeting cards come with envelopes. All are available at affordable prices. The printing and print finishing is absolutely top notch, thanks to Pennybatch Gallery’s attention to detail and high quality materials. We are honoured and delighted to be writers in residence for the Edinburgh International Book Festival 2015. As part of the Baillie Gifford Schools Programme, we will be working in collaboration with hip-hop artist Dave Hook doing a series of workshops in Shawlands Academy in Glasgow, exploring stories, translations and fairy tales from different languages and traditions. This is an exciting celebration of storytelling in its many different forms, and we are very much looking forward to being involved. The workshops will take place after the book festival and will culminate with a celebration on Burns Night 2016. We’re thrilled to be part of the Edinburgh International Book Festival again this year and honoured to be doing an event as part of the Baillie Gifford Schools Programme. 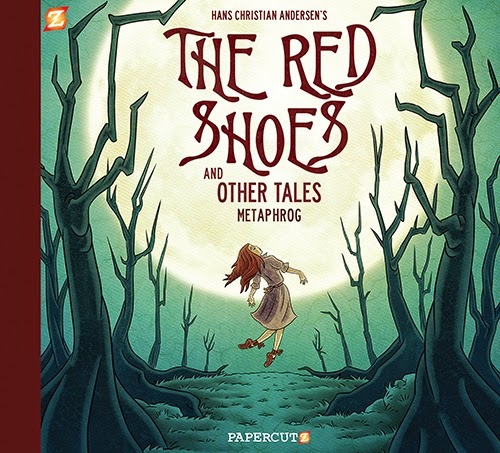 The other exciting news is that we will be premiere launching The Red Shoes and Other Tales at the festival. Limited numbers of a Special Festival Edition of the graphic novel will be available in advance of the official release date. Graphic Novel Fairy Tales with Metaphrog is on Tuesday September 1st, 1.30-2.30pm. The event is open to children age 9-10 and the venue will hold up to 100 pupils. Book now to be the first to hear all about The Red Shoes and Other Tales and get a Special Festival Edition of the book! There’s also a 25% discount on books ordered in advance of the festival for schools, and a £3 book voucher for all pupils attending events. 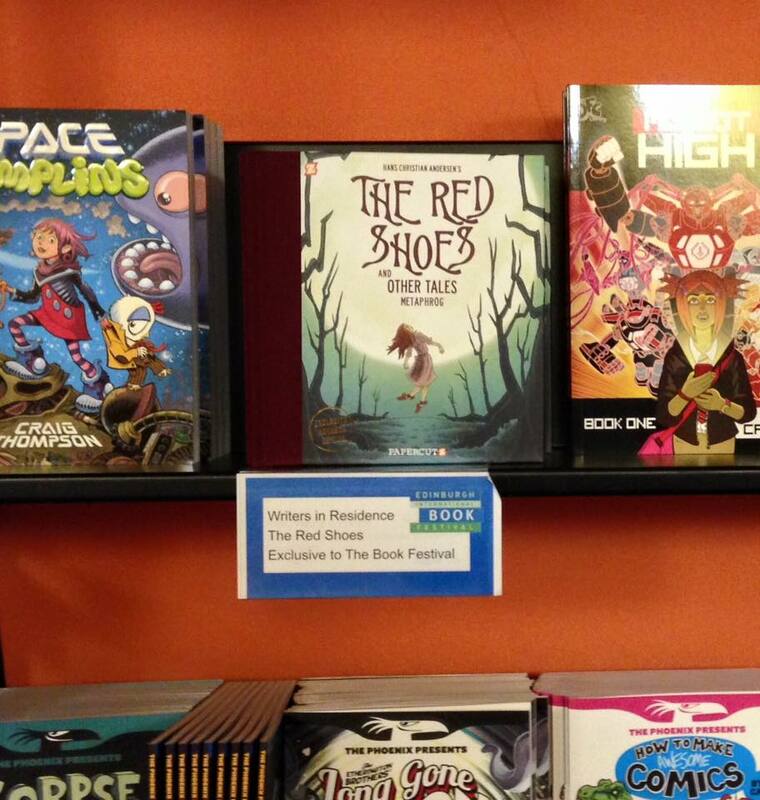 The official release date of our graphic novel The Red Shoes and Other Tales is October 13th 2015.